For the last few weeks, I have been developing an outline for the next book I plan to write. 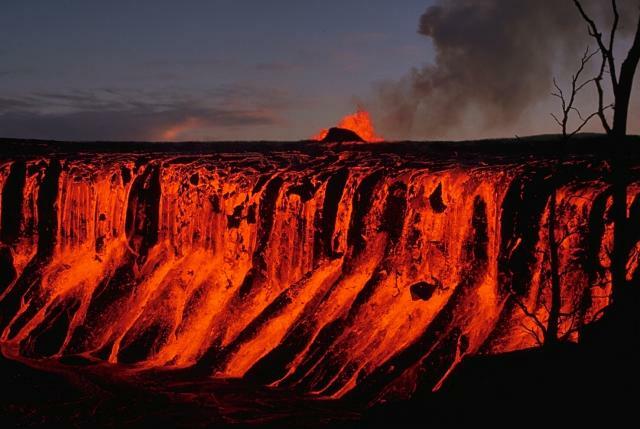 At this point, it will tentatively be titled “Healing My Anger – Defusing A Time Bomb.” It is about my journey to unearth and resolve a terrible well of anger and rage I discovered. One of the pivotal points of that book will be about a bizarre event that happened to me – a group of people came over to my apartment late at night, and performed a bogus group encounter with me. I used to call it an intervention, but I realized that gave the misimpression that what happened was somehow legitimate. It was not – it was an exercise in the power of a group in dysfunction, incited by a strong and charismatic leader. I’ve written about that evening before, in a post called “The Betrayal.” That event led to a whole series of events which propelled my growth in astonishing ways, because it forced me to deal with anger that I hadn’t been able to access previously. This will be a powerful book – I can tell that already. But for the past several weeks, I’ve had the feeling that I was missing something. I just couldn’t think of what it might be. Then yesterday I realized – I had left out one major event. Then I realized that this would have to be the end of the book. I needed to get it on paper, so I wrote it all down. It’s the first time I’ve ever written the ending of a book before I wrote the beginning. But it was absolutely the way the book had to end. For a number of years, I had not been around the individual who stirred up the event that night, who I renamed Rob for purposes of the book. We happened to end up at a party together. In 1996, I decided to move to Austin. I went by a party that was being held by one of the people in the recovery program. It had been a fun party for a number of years, and a source of fond memories for me. Rob and Nancy were there. It was the first time I had been around either of them for quite a while, and naturally there was some awkwardness. We stepped outside, and I wasn’t sure what he wanted to talk about. I had gut checked my anger before agreeing to go, and there just wasn’t much steam in those old issues. At most, I felt a little edgy – because of the unknown. We sat down on a bench outside the party, and Rob lit a cigarette. He sat for a moment, and it looked like he was gathering his thoughts, so I didn’t say anything. “Dan, I want to apologize for my part in what happened the night we came over to your apartment. That was totally wrong, and nobody deserved to go through what happened to you that night. I am sorry. Genuinely sorry.” He looked me directly in the eyes as he spoke, and I could hear the genuineness and sincerity in the way he said the words. His words were simple, elegant and direct. I was so deeply touched I didn’t know what to say. I was quiet for a moment. We hugged, and then walked back inside the party. I lost touch with Rob when I moved, but after that night, for the two of us – we were at peace. Like angry words hastily spoken. Is tattooed on my heart. That I solve this problem. How angry he still was. And it was killing him. I had a flash of awareness. By his journey of recovery. Me at age 58 at a high school reunion, after a night of dancing! Last Saturday night I read a new poem at an open mic event. The next morning I got up and wrote three new poems. “I Just Won’t” is one of those poems. I will read it this Saturday night at the open mic event! 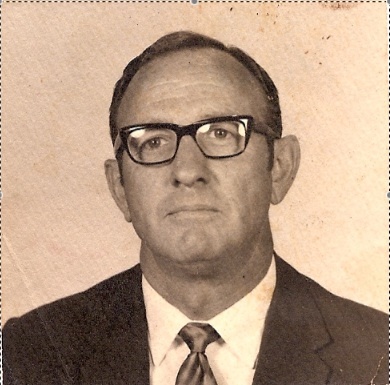 Don Swanson via Wikimedia. Creative Commons via Wikimedia. 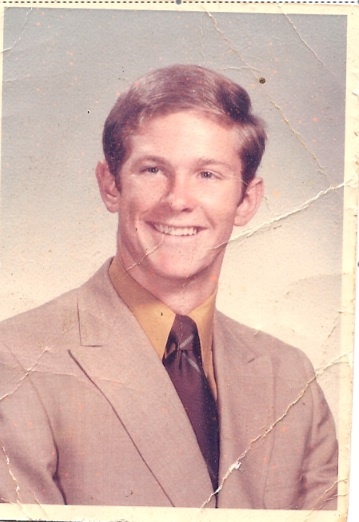 Pictures of Dan and his Dad, Copyright Dan Hays. All rights reserved. Just saying those words out loud made me hold my breath. Would I bring down the fabled wrath for having said that? But it was true – it was the most honest statement I’d ever made to God since I’d started trying to pray. I was really angry – for a lot of reasons. But I had been somehow conditioned that you don’t talk honestly to those you have a problem with – so the same should logically apply to God. I knew something was really wrong in my life. I had been plagued by problems for years, problems I couldn’t pin down as to origin. I had even tried to talk about that as a prayer, many years before. When I was about 21, there was a Sunday evening service at the church I attended, and at one point in the service, they would dim the lights, and people were invited to come down to the altar rail, kneel and pray. One time my prayer had gone something like “Dear God, I don’t know if You’re really up there, and if You’re really listening, but if You are, I know there’s something terribly wrong with my life. I seem to hurt deep down inside, and I don’t know where it’s coming from. Please help me God.” I didn’t seem to get an answer at the time, and for a long time afterward. But it was just after Christmas in 1987, and my Dad had just died, at a time when the problems I had been struggling with had escalated. It felt like my whole world was spinning out of control. I was 37 years old, and my anger at God had already started to surface. In anger I had torn up and shredded a lot of Bible study notes, frustrated at the seeming lack of answers in all that study I had done. Then I got the phone call – come home; Dad is dying. I had returned to my parents house, had been there when my Dad died, delivered the eulogy at his funeral. It had been a hugely emotional time, and I was still reeling from it. Now, a month later, the anger was back, and boiling. I was willing to risk all sorts of possible bad things to be honest with what I was feeling, and just say – flat out – how angry I was at God, and at the situation. Having stated my anger, and not been struck down by a bolt of lightning, I sat down and started writing what I was angry about. I had recently started narrowing down where all the issues were coming from. I had remembered several ugly incidents with my Dad when I was a teenager. First my Dad had shamed poetry that I had written for a school literary magazine, told me it was worthless and I’d never amount to anything. It was a horrible experience, and it felt like a light went out in my soul when my writing was taken away from me by being told it was worthless. The next thing I had remembered was arguing with my Dad over being able to wear my hair like the Beatles. He was a former Marine, and refused to allow it. Then late at night he came into my room and beat me up, telling me not to talk back to him. I had a feeling there may have been more – the evidence pointed that way – but I didn’t know how to root out whatever still might be underneath. Then there was the horrible hurt I was feeling over my Dad dying. Our relationship had been strained for a number of years, but recently we had found a new supportiveness and peace between us. And then he died. It wasn’t fair! So it came back to “Dear God, I am angry with you!” I knew I couldn’t keep carrying that anger, so I took a risky step. I set up a meeting with a minister at my church, to admit before a man of God about my anger. Wow – now that felt risky! But it also felt necessary. I had watched as my Dad denied his anger and refused to deal with it for many years. He had suffered numerous health problems, and had died in his late 50s. I had been watching his behavior and expecting his early death for several years, and knew – somehow I just knew – that if I didn’t deal with my own anger, I would end up going down the same path. I met with the minister the next day. I shared with him what I had written, and the things I was angry about. I held my breath, expecting some dread penance for irreverence. Instead, the minister confirmed that many people felt things like I was feeling, and had experienced deep anger at God. It just wasn’t supported at church to talk about that, so everyone put on what I called the “happy Christian game face” and didn’t talk about things like anger at God. He said I had opened the lines of communication with God in a whole new way, and God would honor that honesty. He told me it took great courage for me to share what I did, and that it would only help my healing process. Then the minister said something very interesting – he said not to be surprised if other things continued to be revealed to me. He was right! Several weeks later, I found the deep source of the issues that had plagued me. A very deep and violent incident with my Dad when I was seventeen, while he was drunk. I kept getting clues that something had happened, followed them, and was led to have this incident revealed. It was a horrible event to remember, and I knew it would take a long time to fully work through the effects. But – there was also a tremendous sense of relief. I now knew why my world had been so skewed, and in the big picture, things made a whole lot more sense. So saying I was angry at God, being honest in that way, had led to a huge healing process. Not eternal punishment, chastisement or condemnation. I still had some of those teachings stuck in my soul, and it took a while to release those old beliefs and realize that God really did want the best for me. Then the question. Did God hear my plea down at the altar rail when I was 21? Were things revealed to me at a time and in a way that I could handle knowing the truth? It sure seemed like it! I know I couldn’t have handled knowing about the violence when I was 21. It came out as gently as it could given how horrific the abuse had been. Quite a different prayer than the earlier one. But they felt connected – the angry prayer led to the thankful prayer. I do believe that. 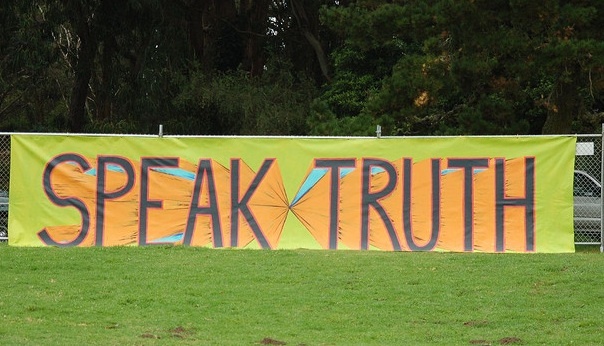 “Speak Truth Banner” Donnaphoto @flickr.com. Creative Commons. Some Right Reserved. I Abandon A Book – Again! 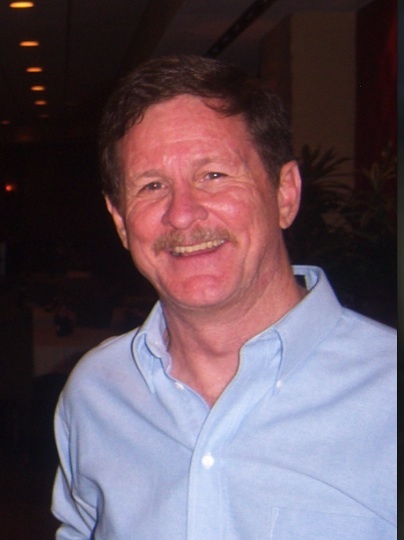 “I Abandon A Book – Again!” An author has several agents interested in his novel. He works hard to revise his manuscript, only to be crushed when it needs further work. He walks away from the book. 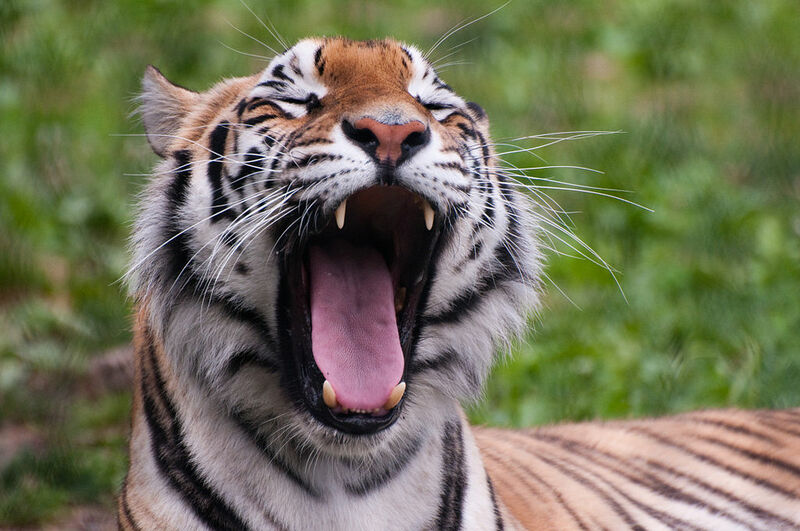 ” Words of Wisdom, Talk of Tigers” – A new post on Life As A Human magazine. It honors a video I recorded after I had a radio interview with Cyrus Webb, where he expanded my understanding of the book I had written! Amazing experience! PTSD – And Didn’t Know It! I spent a lot of time walking around Houston in the middle ’80s with many of the symptoms of PTSD, and didn’t know it. I was having flashbacks – of occurrences I didn’t remember. I felt like the man in the Bourne Identity with amnesia, who was getting glimpses of his past – a past he could not recall. Sometimes it was like feeling memories – like I was somewhere else living through something. But I had no idea what was going on, and it was terribly frustrating and confusing. I would disassociate under stress – I would emotionally numb out, feel like I was up in a corner of the room watching events, totally apart from what was happening. I had a sleep pattern where I would go to bed at 11 PM nice and tired, suddenly pop awake and be wide awake until 3 AM. I had outbursts of anger that were way out of proportion to the event that might have triggered my explosion. I had hypervigilance – I called it my “on patrol” mentality, where I was alert with all my threat detectors going off – but not sure why. I had an exaggerated startle response – slip up behind me and poke me in the ribs and I was like someone jolted with electricity. I had stomach problems a lot, feelings of guilt and shame, feelings of betrayal, suicidal thoughts, struggles with substance abuse. 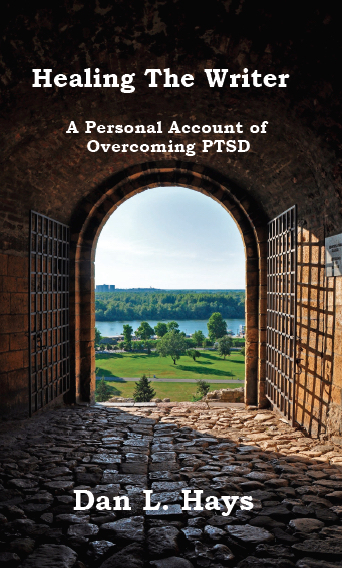 I had all these things going on, and one time in the library found a discussion of this thing called Post Traumatic Stress Disorder – only recently recognized as a formal diagnosis. The short definition was – exposure to a traumatic event in which the person experienced, witnessed or was confronted with an event that involved actual or threatened death or serious injury, and the person’s response involved intense fear, helplessness or horror. That definition, with all the associated symptoms, sure looked like what I was experiencing. The puzzling thing was – I didn’t have a traumatic event I could point to that might have triggered all of those symptoms. 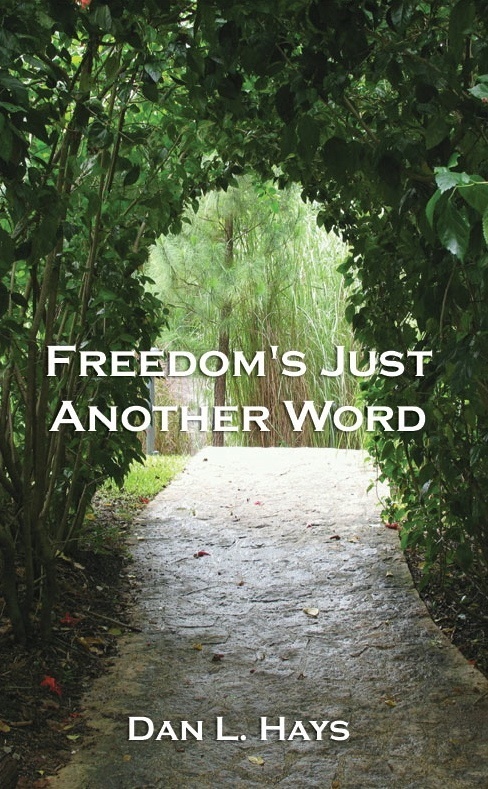 That was the state I was in when the events in my book “Freedom’s Just Another Word” began. I had said some hurtful things to my Father. But he had been dead for three years. How do make amends after they’re gone? It wasn’t perfect, not like him being there, but I was talking to him anyway. Just making up a conversation in my mind, inside my spirit. And answering for him – what I thought he would say. No, that’s not quite true. Some of the things my Dad had said to me, but I could not hear them at the time, or at least, could not receive his words. My Dad had owned 5 acres of land in the country outside Tulsa that he was planting in pecan trees. 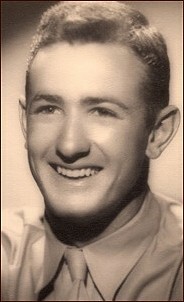 We had been out there one time, with me clearing trees and brush while he grafted pecan trees. While we were resting, he’d been telling me stories about the good old days, like he always did. I told him that with any other adult male I would get up and leave if the stories got too much, and so I would with him. God, how that must have hurt. And now I felt bad about it. I imagined us now out at that land once again, sitting in camp chairs under the large oak trees, resting in the shade. I was saying now what I couldn’t say before. “Dad, I guess it was mostly me provoking you, arguing with anything you said, rebelling. Putting you down. I did a lot of subtle stuff. I didn’t know why I was so angry with you. I’ve learned more and seen where all that anger was coming from. But that didn’t make it right what I did.” It felt like my words were all rushing out, stumbling over each other, eager to be free. I felt awkward, like I was saying it poorly, now that I had the chance. We sat in silence for a few moments, reflecting. “Thank you, Dad. I do know now that you were proud of me – you told me before, but I couldn’t hear it.” We sat in silence, hearing the breeze whistling through the trees, the birds singing in the upper branches. I drew in a deep breath. “Thank you, son.” We sat quietly for a time. “So can we be at peace with each other?” my Father asked. Several years after I wrote this piece, when I felt I was ready, I went back out to the land with the pecan trees and read this piece out loud. I made a ritual out of it, read the conversation very deliberately and with a solemn sense of ceremony – because I knew that at the land he loved so much, he would hear it. I also knew the words would become more real for me as well, as part of saying goodbye to Dad.